While the terms “Leather District” and “Downtown” are sometimes used interchangeably, Boston’s Leather District is actually a strictly-defined area. The neighborhood is bound by Kneeland Street, Essex Street, Atlantic Avenue, and Lincoln Street. Located just east of Chinatown, this area is characterized by 19th century warehouse structure. 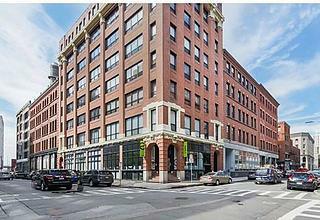 If you’re looking for a loft in Boston, the Leather District is a great place to start. Many of these former warehouse buildings have been converted to high end luxury lofts. A trusted agent from Advisors Living can help you find your perfect Leather District condominium or apartment. The Leather District is benefiting greatly from the revitalization of neighboring Downtown Crossing, a key initiative of former Mayor Menino’s administration. New shops and restaurants are regularly opening as this area transforms. Be the first to experience these new attractions, just steps from your chic Leather District apartment or condo! South Station is just a short distance from the Leather District, and provides access to the Red Line, the Commuter Rail, and Amtrak. The Orange Line at Chinatown is also minutes away. If you want to live in the heart of Boston while working outside the city, you may want to consider this neighborhood. If you are interested in learning more about the Leather District, contact an agent at Advisors Living today.